To mark its 35th anniversary, the Orchid Society of Mauritius issued in collaboration with the Mauritius Post a Special Commemorative Cover on 25 September 2015. 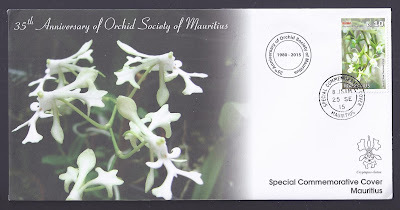 The Orchid Society of Mauritius was founded in 1980 by a small group of orchid enthusiasts. Over the years the membership has increased significantly. The main goal of the society, as stipulated in its Articles, is to promote orchid culture. Members meet on a monthly basis around a mini orchid display. Talks on various aspects of orchid growing and sharing of personal experiences are common features at these meetings. Each year in September/ October, the Society holds a major public orchid exhibition. Visitors have the opportunity to not only admire beautiful flowers, but may also acquire plants and learn how to grow them. The Orchid Society of Mauritius is affiliated to the American Orchid Society since 1983 and benefits, from its generous educational support. 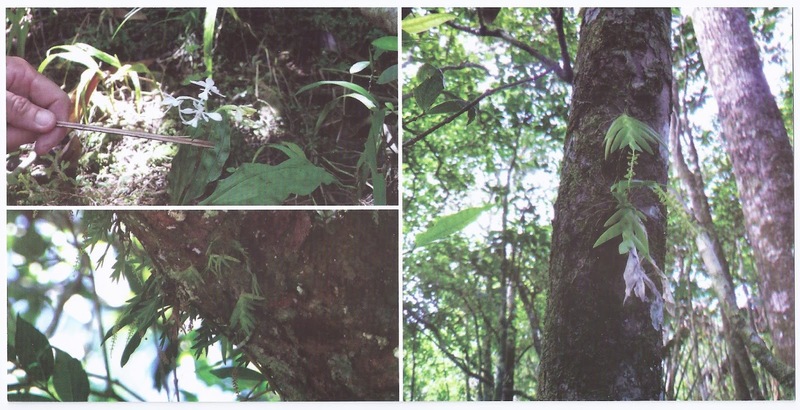 In October 1986, at the request of the Orchid Society, the Mauritius Postal Authorities issued a series of four stamps depicting indigenous orchids (SG733/36). The Orchid Society of Mauritius believes that the Republic of Mauritius has the potential for the creation of an orchid cut flower industry for both the local and export market. Mauritius has a suitable climate for orchid growing. The Orchid Society of Mauritius has been instrumental in promoting interest and knowledge in orchid growing in Mauritius. Today many people in Mauritius grow orchids either for pleasure or for commercial purposes. We note that there are professional agricultural farmers who would be keen to diversify their traditional production. Most of today's leading orchid-exporting countries have witnessed their predominantly hobbyist-oriented activity evolving into a multi-million industry. We are certain that our client will extremely like our administrations of relentless fun. You can get in touch with us whenever you have a craving for getting exhausted and need some excitement and sexual fun in your life. You simply think to mess around with young ladies overlooking all the pressure and stresses since they don't give you a chance to consider anything aside from their.